We make your learning fun, with our full range of training courses! Our courses are not your regimented 'boarding school' type training, you will might never look at a toilet roll the same again..!! Our emphasis is on practical and visual training. Outstanding training opportunities, with a unique difference... each first aid course is tailored especially for your workplace, your sport, your recreational activity, or simply your life. All courses are run to NZQA & international standards & guidelines. Blended On-Line Workplace & Workplace Refresher First Aid Training combines online learning lessons followed up with hands on, instructor led skills practice and evaluations. You save time in a classroom, complete the online training in your own time, from any computer, at your leisure. Then our assessor will work with you on the practical section of the course, after you complete the online section. Great for a single person needing to complete a course or people with a busy life style. Specialising in group bookings: corporate, sports club, industrial, school, any group - anywhere. Talk to your neighbours, friends, family or workmates, get a group together and contact us. Our friendly instructors, each with over 15 years experience, are out in the field providing ambulance care on a regular basis. So you learn from accomplished instructors that actually have experience doing what they teach! Best of all our courses can be done on site, or to suit your requirements. Our courses follow consensus standards and guidelines recommended by New Zealand and International Resuscitation Councils. 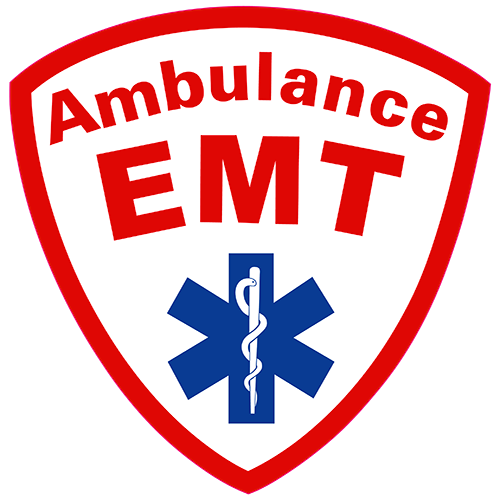 Ambulance EMT Ltd are committed to uniquely tailored courses, we can also cover correct lifting techniques, and/or other specifics suited to your particular workplace at NO EXTRA CHARGE! Learn essential skills to save a life. Our Pre Hospital Emergency Care (PHEC) course in addition to the above, also covers oxygen therapy, neck braces and backboards for spinal injuries, bag valve mask, suction techniques, splinting fractures and other more advanced medical techniques. Prerequisite student must have a Current Workplace and/or Comprehensive Certificate. PHEC never expires although CPR update compulsory 2 yearly.